As most small-business owners will tell you, the last few years have been tough ones. The tightening of the U.S. credit markets has been a big part of our economic slowdown especially for closely held businesses and anyone investing in real estate. To combat the problem, the U.S. Small Business Administration (SBA), started several new loan programs in 2011. One of them is geared towards helping small businesses that need smaller loans. In the past, banks shied away from lending smaller amounts because of the high costs of administering the loans relative to the lower fees they were able to charge. The introduction of the SBA Small Loan Advantage Program, or SLA as it is commonly known, allowed approved banks to lend up to $350,000 to small businesses with an SBA guaranty. The SBA guaranty insures the bank against losses, allowing banks to lend more freely. The SLA program is an offshoot of the better-known SBA 7(a) program, which offers small businesses SBA-backed funding in amounts up to $5 million dollars. Both the traditional 7(a) funding and SLA loans allow approved borrowers to use the proceeds of the loans to establish a new business, acquire assets, including real estate, expand operation, or fund working capital. The SLA program is governed by the same regulations as the 7(a) program and has many of the same advantages. It is generally easier to qualify for SBA loans, the loans have longer terms, and borrowers can roll in the fees and costs of the loan into the loan itself. Specifically for the SLA program, the application process has been streamlined to make these loans more efficient for both banks and borrowers. The program allows lenders to get a prequalification from SBA to ensure that the business has enough creditworthiness to justify giving the applicant full consideration for financing. In short, the SLA program offers faster and more cost-effective SBA loans to business borrowers. Additionally, although the loans can be as high as $350,000, many of the offering banks offer very low minimum amounts. We have seen minimum loans as low as $10,000. In order to obtain an SLA loan the borrower must first apply through an SBA-approved lender. 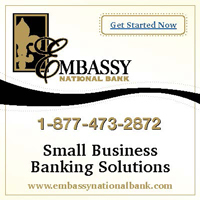 A list of SBA-approved lenders can be found on the SBA website at www.sba.gov. If the pre-qualification comes back positive for the borrower, the lender can then push forward with a formal request to the SBA for a loan guaranty. Most SLA loans will be approved in a matter of minutes through electronic submission to the SBA. For those loans not eligible for electronic submission, the approval process is between five and ten days. The SBA will guarantee 85 percent of the SLA loan amount up to $150,000 and 75 percent of the loan amount up to $350,000, as compared to regular 7(a) loans which only get a 75 percent guaranty no matter the amount. With a higher guaranty incentive, lenders are more willing to participate in the SLA program and lend lower amounts to businesses in need. SLA loans, like 7(a) loans, cannot be used to refinance existing debt where the lender is more likely to sustain a loss, or to effect a partial change of business ownership or a change that will not benefit the business. If you think your small business is eligible for an SLA loan or a 7(a) loan, one of the offering banks will be able to provide more information on the approval process and eligibility requirements. For more information on the Small Loan Advantage Program and 7(a) loans visit the Small Business Administration online at www.sba.gov. Business Insights is hosted by the Law Firm of Kumar, Prabhu, Patel & Banerjee, LLC. Sonjui L. Kumar is a corporate, transactional attorney and a founding partner of KPPB Law. She primarily focuses on serving as general counsel to privately held companies assisting them with all legal matters, including corporate governance, contracts, shareholder matters, mergers, and acquisitions. Disclaimer: This article is for general information purposes only, and does not constitute legal, tax, or other professional advice.